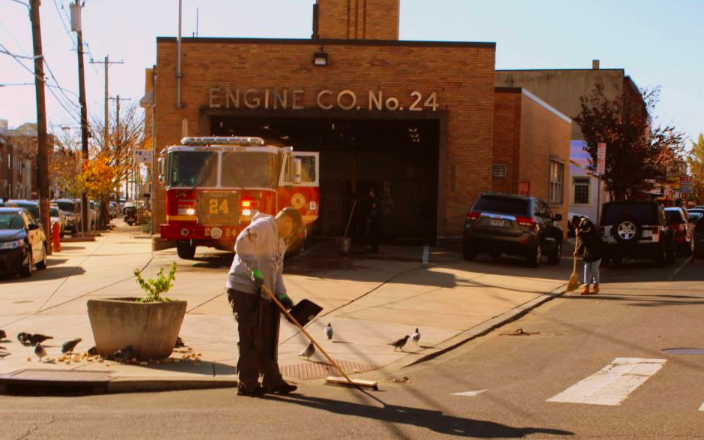 Point Breeze Community Development Corporation (PBCDC) worked with Job Corps, Point Breeze Avenue Business Association, 17th District Police, Sanitation, Streets and Commerce Departments to clean up the Point Breeze Avenue Commercial Corridor. A recent report on housing development in Philadelphia's neighborhoods found the cost to rent a place in South Philly, particularly in Point Breeze, has risen dramatically over the past two years. 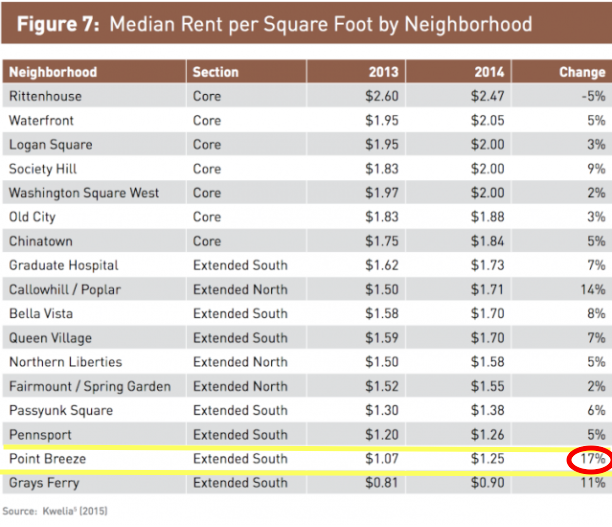 The report, created by the Central Philadelphia Development Corp. and the Center City District, compared the median price of rent per square foot in several Philadelphia neighborhoods from 2013 to 2014 and found Point Breeze had the sharpest increase at 17 percent. Rents also rose in South Philly neighborhoods Passyunk Square, Queen Village, Bella Vista and Pennsport from 2013 to 2014. A 2013 article by Philly.com highlighted the beginning of the development boom in Point Breeze and noted that, compared with some of the other neighborhoods adjacent to Center City, which are saturated with new development and thus are now over-populated and over-priced, Point Breeze had yet to hit its peak. Point Breeze is simply "positioned to be the next domino to fall," economist Kevin Gillen told Philly.com. Another attraction to Point Breeze is its well-positioned placement near the ongoing reclamation of the Schuylkill Banks waterfront. The 17th Police District and the 24th Engine Co. have been at 20th and Federal streets for more than 100 years. 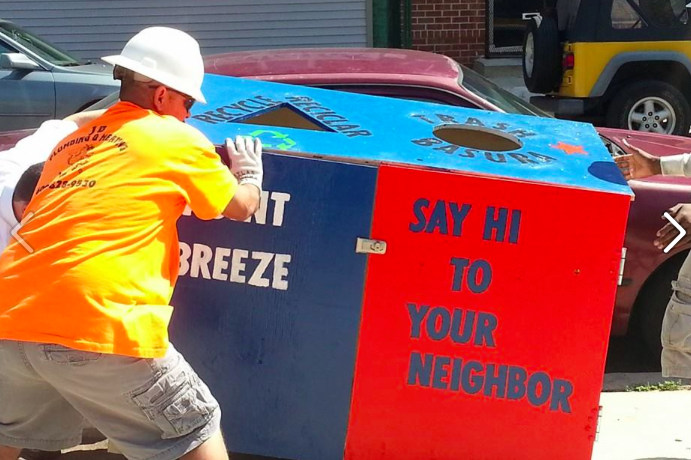 Point Breeze Community Development Corp./Facebook. Not everyone is happy about gentrification in the neighborhood. Back in 2013, a group of longtime community members staged a rally on Point Breeze Avenue, claiming new, higher-priced housing was chasing out lower-income residents who were there first.